I’ve been pondering for a while now the best way to express my thoughts on the current state of Robin at DC Comics. This month’s election has helped put everything into a new perspective. Damian Wayne as Robin is like Donald Trump as President. Yes, he’s an interesting and entertaining person, but he’s sullying an honorable position, has pushed better candidates to the wayside, and it’s probably going to be a while before everything straightens back out again. Until then, we’re just stuck. This is just Damian. I can’t bring myself to get a matching picture of the other guy. Provocative headline aside, I’m just not happy with the current state of Robin at DC Comics. 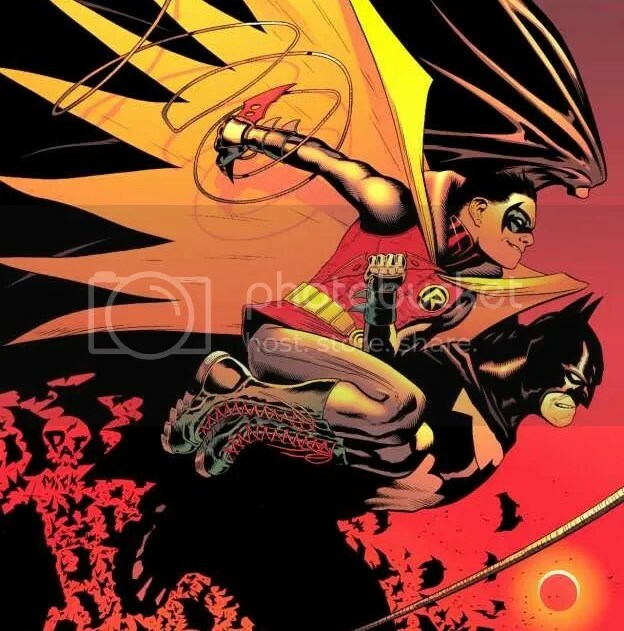 Robin is one of my all-time favorite comic book characters, and with Damian Wayne sporting the ‘R’, I just think both characters are being wasted. Join me after the jump to find out what I mean. To me, the most important part about being Robin is that you’re Batman’s partner. The phrase ‘Batman and Robin’ is a household name for a reason. They’re a team, and any Batman story is made instantly better by having Robin on hand, as far as I’m concerned. Even if he’s stuck in the Batcave providing logistical support, I love it when Robin shows up in a Batman comic. But nowadays, Damian Wayne has moved on from being Batman’s partner while keeping the Robin identity. Normally when this happens, you become your own hero, like Nightwing, Red Hood or Red Robin. But Damian is apparently taking the ‘Robin’ name with him. Whether it’s the Batman comic, or All-Star Batman or Detective Comics, Batman doesn’t have anything to do with Robin anymore. He’s still got a whole Bat-Family of side characters, most of whom feature very prominently in these comics, but none of them are Robin. Damian is off doing his own thing, whether it was the short-lived Robin: Son of Batman comic, or the upcoming Super Sons comic, or his current leadership of the Teen Titans. Robin is simply no longer part of Batman’s circle, and for a fan like me, it’s frustrating. But it’s even more frustrating when you consider the fact that DC has two perfectly good Robin candidates languishing in the wings. Scott Snyder is, arguably, one of the most popular Batman writers ever. He’s clearly a kingmaker at DC Comics right now, and his continuous run on the Batman solo comic lasted almost the entire length of the New 52 era. Snyder is Batman at DC right now. And over the course of his run, Snyder created two perfect new Robins: Harper Row and Duke Thomas. Harper Row is a tough street kid who basically raised herself and her younger brother when her dad turned out to be a criminal jackass. She learned electrical engineering and decided to start helping Batman by using the city’s electrical grid. Duke Thomas came from a nice home, and by mere chance, ended up helping Batman during the Zero Year. Then after his parents go missing in an attack by the Joker, Duke steps up and starts leading a local group of Robin youths, earning the name while doing some good for the city. Unique, but still perfect Robin origin. Then DC went and told a story where Damian was killed in action. He was gone, leaving the mantle of Robin open to either of these new characters. 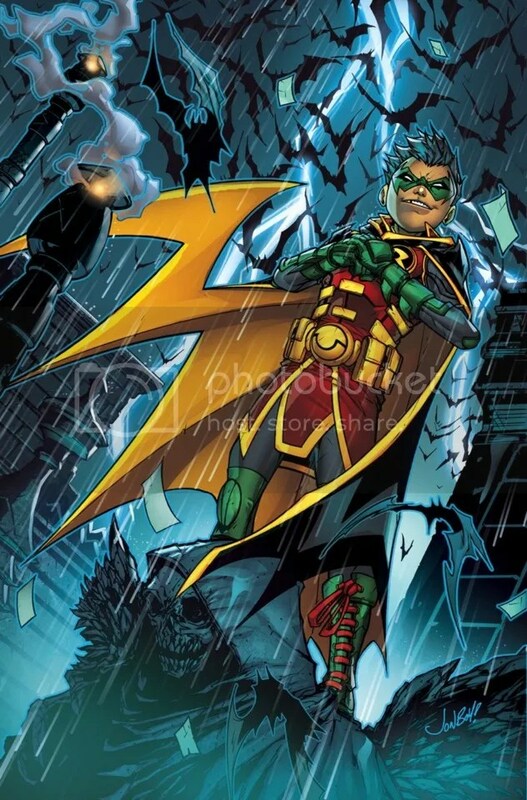 But instead of making either of these Scott Snyder-created heroesinto the new Robin, DC went to the trouble of bringing Damian Wayne back from the dead, like it’s no big deal. Now, rather than make them Robin, Harper became an utterly forgettable character named Bluebird, and has since retired from even that. Duke pretty much was Robin in Scott Snyder’s final storyline, and he’s also become Batman’s new sidekick in the current comics. 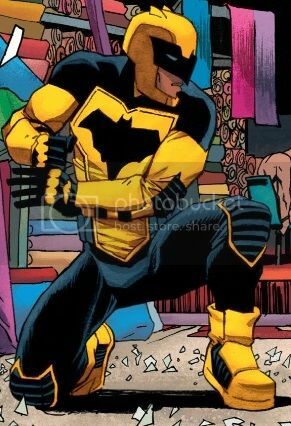 But rather than be Robin, as would be expected, Batman has instead given Duke a yellow Batman Jr. suit and claims he wants to try something different. As of this writing, we don’t even yet know his superhero name. Duke has become Robin in everything but name. This is absolutely Yellow Batman Jr. This would be the perfect time for a new, diverse Robin. The DC Cinematic Universe is just starting to take off, with a solo Batman film due out in a couple of years. We already know that one Robin is dead in the DCCU, but what about a new Robin in the new movie? 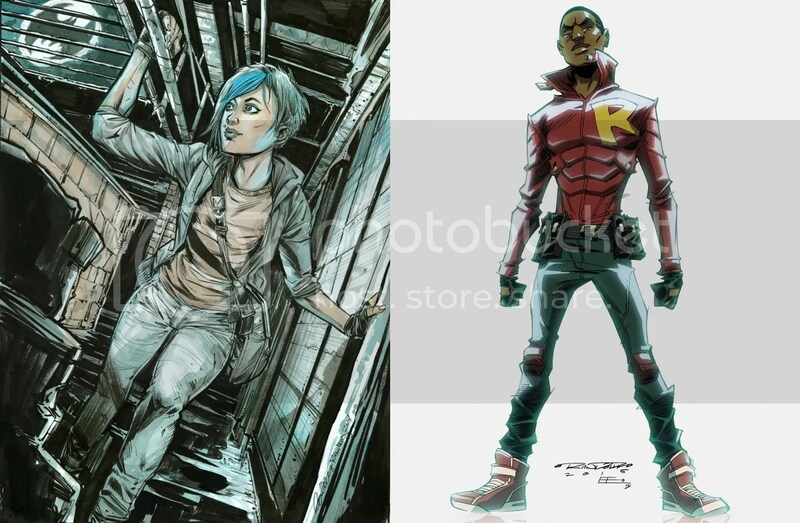 DC could jump right to Harper or Duke and introduce the character with style. The Ben Affleck movie is not going to go to the trouble of making Robin Batman’s son. That’s too much to explain. There’s also a new Justice League cartoon coming out. Batman is going to star, and surely Robin will be mentioned at some point. 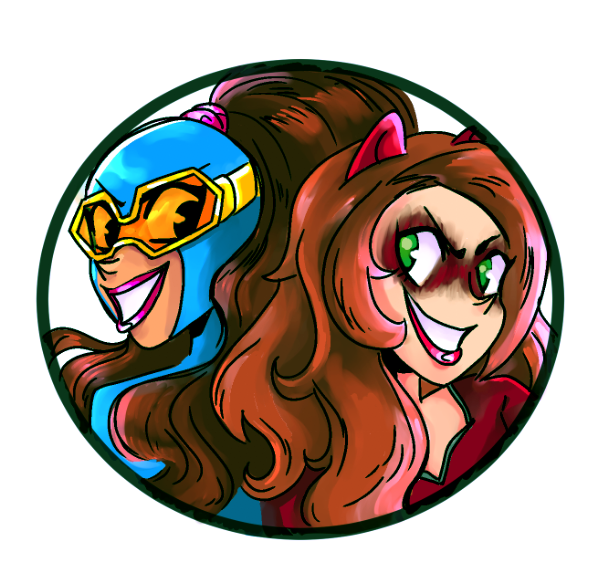 There’s another great place to bring a new, diverse Robin to the masses. Or what about that third season of Young Justice on the horizon? They’ve already done great things with Robin. 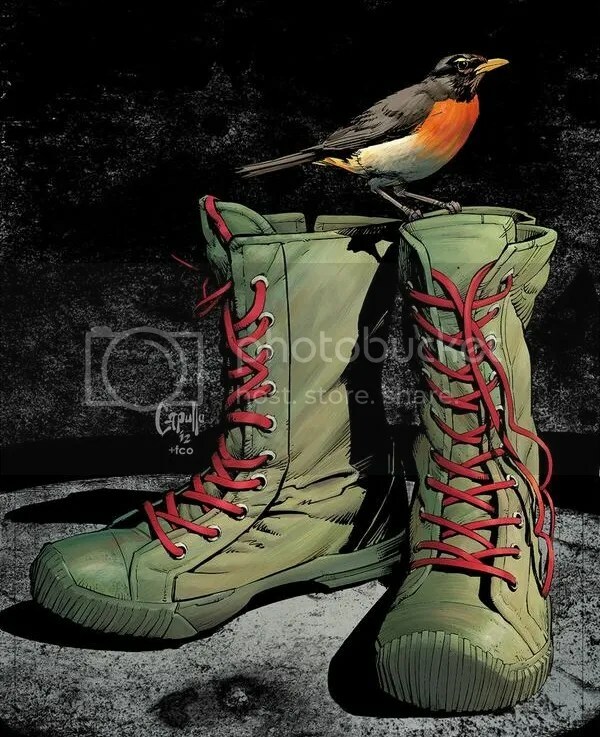 To say nothing of the fact that Robins tend to last up to a decade in the role in the comics. DC could have had a female or black Robin for a very long time, scoring major points for diversity. Instead of any of these fun options, DC is apparently just going to keep Damian in the role. And Harper Row and Duke Thomas will eventually fade into obscurity, the way all Batman supporting characters do who aren’t Robin, Alfred or Commissioner Gordon. The simple fact is that the average person knows ‘Batman and Robin’. That concept is nearly a century old at this point. And DC is blowing the chance to make a legitimate, in-continuity diverse Robin. Instead, much like Donald Trump’s time in the White House, we’re gonna be stuck with Damian Wayne for the foreseeable future. Posted on November 21, 2016, in Batman, Comics, DC, Robin and tagged Damian Wayne, Duke Thomas, Harper Row. Bookmark the permalink. 7 Comments. They even had Carrie Kelley in for a couple of issues before making her vanish again. There’s a story as to why they pulled her character from the storyline. It looked like she was going to be Harvey Dent’s illegitimate daughter by Irish mob lady. There’s rumors as to why her character got pulled, even from preview covers, but nothing concrete. I’ll tell you why they won’t get rid of him. It’s because all the “cool” kids like his rebellious-emo attitude. He is popular between kids aged 14 to 16, trust me i researched. I’m 20 years old, I grew out of that stage and that’s probably why I don’t find him all that interesting. Well, at least kids aged 14 to 16 are reading Batman comics! I’m kind of irritated that he’s leading the Titans right now. It’s the only thing about the comic that is irking me so far. I think he’s more like a Bush Jr than a Drumpf, because he’s at least capable of functioning in the position, while the Drumpf has no clue and has no clue that he has no clue. But that said, actually, I didn’t so much mind his turn as Robin, and of COURSE he would come back from death because his grandfather has the Lazarus Pit complex (they seem to have the +1 more location power) so he isn’t going to stay dead. All that said, he’s got potential as a character but no actual identity because he’s still a kid. SO hanging on to Robin seems like a thing he’d do. Even though he’s not that connected, he’s still Bruce’s only known offspring, and he still tries to keep the connection. So for in-character reasons it works. As a marketing tool of course it’s a misstep.